With March comes the return of the Milky Way, the zodiacal light, and other great astrophotography subjects. Alyn Wallace breaks down a number of the key events in the night's sky for the upcoming month. 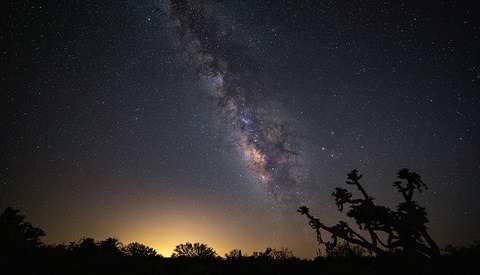 The Milky Way is set to rise in the early morning skies. It'll be most visible from around March 1st to March 15th, and while the Milky Way is around outside these upcoming months, this will be the first emergence of the core for most viewers since September. Timing isn't perfect yet, as there will only be a brief period of the core rising before it is crowded out by the early morning twilight. Wallace also details a number of planet locations, some of which coincide well with the Milky Way core or a sliver of the moon. Mars dominates the evening skies and is set to have a close appearance to Pleiades near the end of the month. A shot to take advantage of this collocation will be challenging, requiring a telephoto lens and some skills at deep space astrophotography. The Northern Lights are slated to increase in strength before the season ends. If you are planning on heading north, the last opportunity to see the aurora promises a strong show. Lastly, the zodiacal light should appear prominently on the horizon. This natural glow is caused by dust in the interplanetary spaces reflecting sunlight. It is very faint, but creates a spot of seasonal interest in the shots. 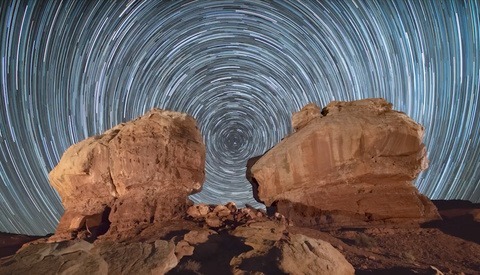 I've really enjoyed Wallace's monthly breakdowns of astrophotography subjects. They're succinct and provide great coverage of each month's prominent subjects. Are you planning on shooting any of the subjects he mentioned in this video? Wow. Bookmarked for future reference!!!! 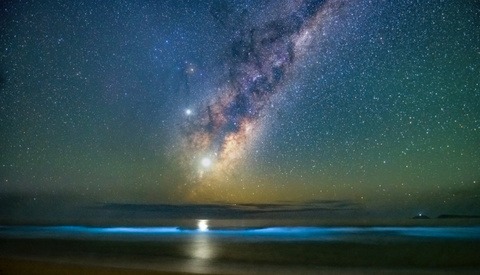 Milky Way photos are a tiny, tiny, tiny part of astrophotography. Go and check sites like cloudynights and see what is being done and be astounded by the mastery or true astrophotography. This is still beautiful work, but it is a small niche.